After a severe injury to her leg ends her career in the military, Captain Millanie McAllen makes her way back to her hometown of Harmony, Texas. With little plans for her future, all she wants is to relax and allow her wounds to heal -but when she meets a mysterious man at airport who offers her a lift back to Harmony, she finds her plans beginning to take a surprising turn. Drew Cunningham is a reclusive man with a secret. As a teacher and buries himself in his research in an attempt to hide from his past- until he meets Millanie. Drawn by an inexplicable attraction, he hopes she will be the one to bring much-needed healing to his life. Famous musician Beau Yates has returned to Harmony to make amends with his dying father, a man who has been estranged from his life since his youth. Through the pain and emotion, his only consolation is the one girl from his past he ever truly loved. But can their love be rekindled, or have the sands of time pulled them too far apart? Johnny Wheeler’s in trouble. Convicted of killing his wife, the evidence is stacked against him -and the only one who believes he is innocent is Kare Cunningham, the eccentric town fortune-teller who also just so happens to believe in unicorns…. One True Heart offers a crossroads of stories, with the beautiful town of Harmony at the crux. Though set much further into the future than the previous A Place Called Harmony (Harmony Prequel), the small-town feel of Harmony remains the same, with new characters that trace their linage back to the town’s original founders. 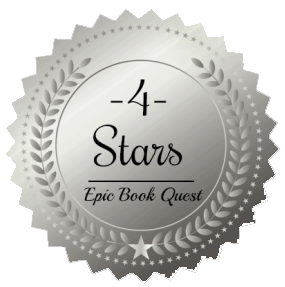 Jodi Thomas’ writing is always entertaining and full of surprises and twists that will keep you turning pages late into the night, and, true to form with her previous novels, you will discover a whole new cast of wonderfully relatable (and sometimes quirky 🙂 ) characters that you are sure to fall in love with. 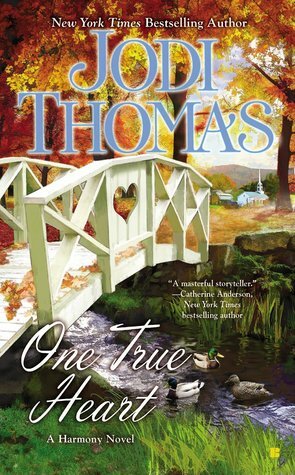 For fans of romance, and just well-written stories in general, I highly recommend One True Heart, as well as the rest of the books in the Harmony series! “When I began ONE TRUE HEART I knew I wanted to write a story about a man, Drew Cunningham, who was afraid to live because he believed a terrible tragedy was he fault. One night in the Amarillo airport he meets a woman, Millanie McAllen, who has never been afraid of anything in her life. She’s crippled up and broken and thinks the last person who can help her is a shy man who looks like he might be a professor. Millanie has taken care of herself all her life and is touched that this guy thinks he can help her. She decides to play the helpless role if only long enough to catch a ride to her home town, Harmony, Texas. Though they are attracted to each other, neither believes in love. And, like most of us in our real lives, Drew and Millanie are surrounded by friends and relatives who complicate their lives. When you step into ONE TRUE HEART you’ll step into Harmony where the lives of the people in the town blend together. You’ll meet Millanie McAllen and Drew Cunningham. Both hiding out from life for different reasons. In their love story the gentle, loving man wins out. As they face the truth about real love they also must both face their fears. Drew, who is always organized and calm has, what he believes, is the craziest sister on the planet. She dances in the moonlight and tells fortunes. In her first session with Johnny Wheeler, he’s arrested for killing his ex-wife. Kare knows Johnny didn’t do it. She didn’t see murder in his lifeline. Johnny thinks she’s nuts, but she’s determined to help him even if she has to draft her big brother to help. Another story threads its way through the book. Beau Yates comes back to town for a few days. He’s a successful singer in Nashville, but deep down knows that all his love songs are about one girl. He doesn’t even know her name, he simply calls her Trouble. She used to pick him up after work. She’d every dream he’s ever had about love.